The Scottish Crannog Centre is one of the featured attractions in our free virtual reality app, ScotlandVR, for iOS and Android. Find out more about our VR app. Getting there by railway:- The closest rail stations are at Pitlochry and Birnam (Dunkeld). Bus link or car hire from there to Loch Tay. Full details from Aberfeldy Tourist Information Centre. Getting there by aeroplane:- From Glasgow or Edinburgh airports head north to the city of Perth. Follow the A9 trunk road to Ballinluig and then take the A827 west to Kenmore, a small village at the east of Loch Tay. Getting there by ferry:- From the port of Rosyth head north to the city of Perth. Follow the A9 trunk road to Ballinluig and then take the A827 west to Kenmore, a small village at the east of Loch Tay. VisitScotland / Kenny Lam, all rights reserved The Scottish Crannog Centre on Loch Tay, Perthshire. VisitScotland / Kenny Lam, all rights reserved The Scottish Crannog Centre on Loch Tay, Perthshire. Kenny Lam, all rights reserved. 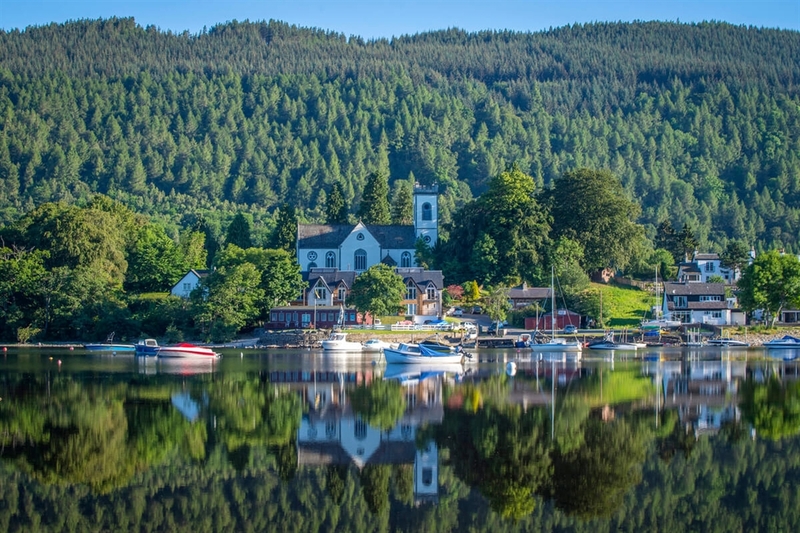 The small village of Kenmore reflected in the glass-like water of Loch Tay, with thickly forested mountains behind, and a cluster of small boats. VisitScotland / Paul Tomkins, all rights reserved. 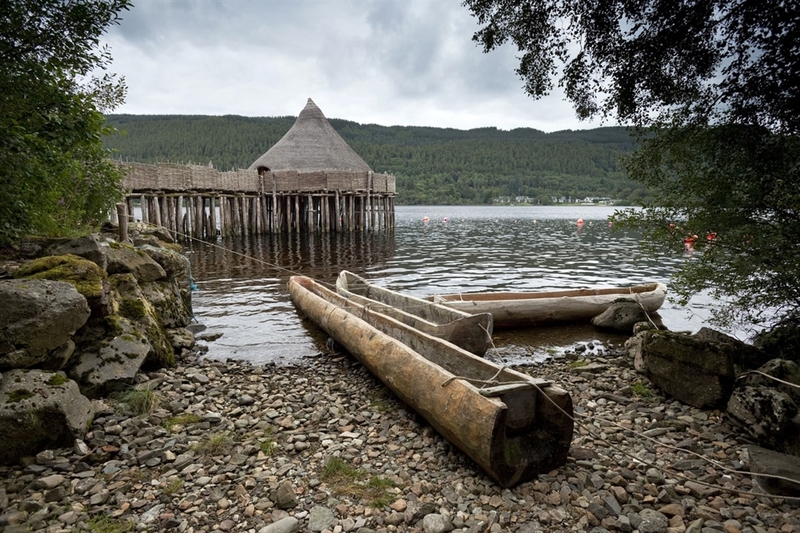 The Scottish Crannog Centre, Loch Tay, where visitors can experience traditional ways of life. VisitScotland / Paul Tomkins, all rights reserved. 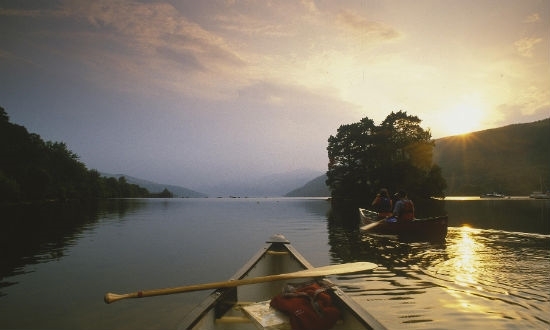 Looking over a paddle at the bow of a Canadian canoe to a couple paddling away in another canoe at Kenmore at the end of loch Tay, Perthshire.